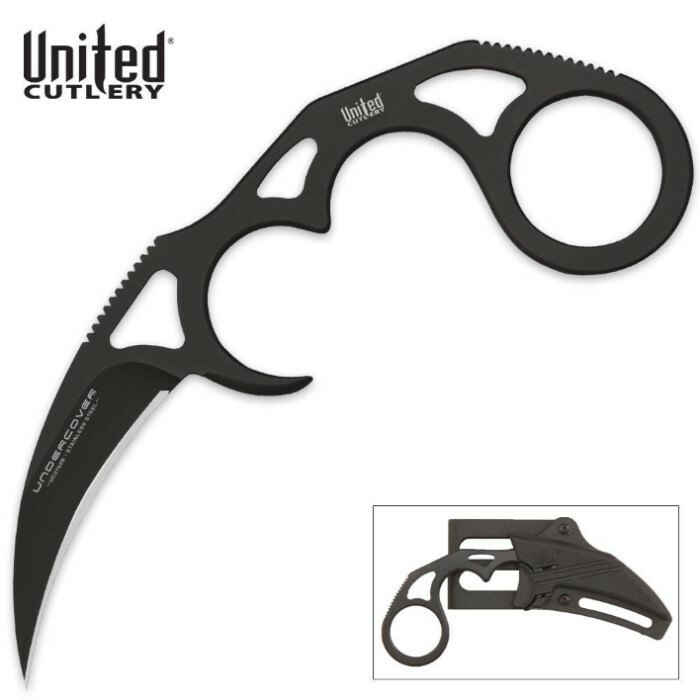 This is THE karambit for ease of carry and concealment while on the move. Forged from 420 stainless steel, this compact weapon measures 5 3/8 in. overall. The skeletonized design allows for a tight and secure grip during high stress use. 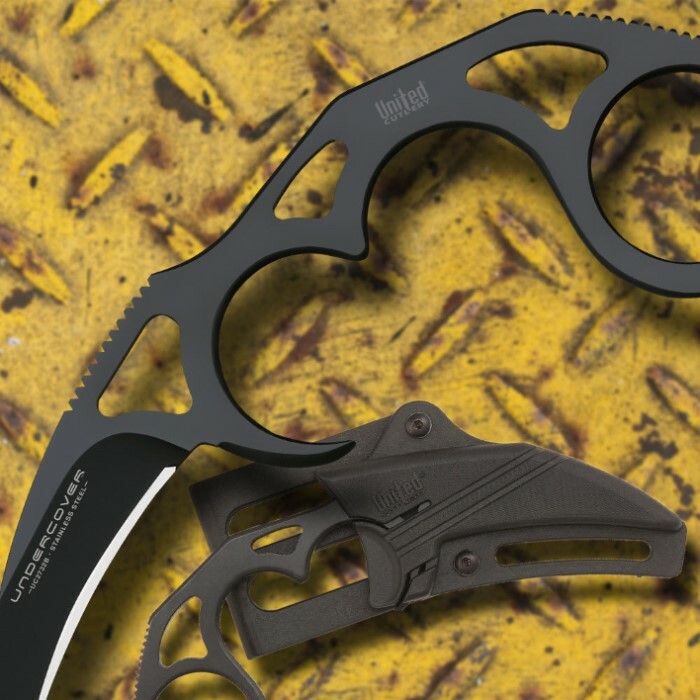 Includes an injection molded ABS sheath which can be adjusted for different carry styles using an Allen Wrench.